Updated Sunday June 12, 2016 by Rivermen Hockey. 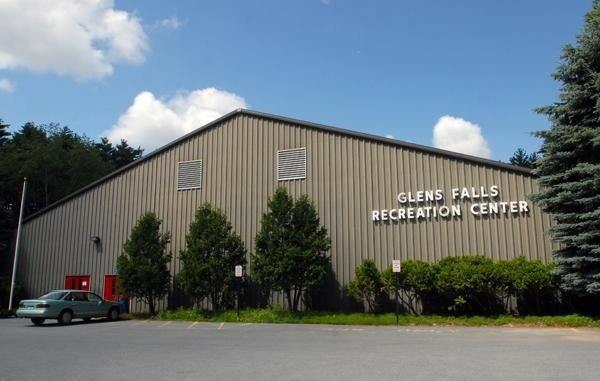 The Rivermen play their home games at the Glens Falls Recreation Center located behind the Glens Falls YMCA. The Rec Center approximately 2 miles off Exit 19 of the Adirondack Northway(I-87). The GF Rec Center includes a Concession Stand, a Warming Room and a Skate Sharpener that is staffed by trained volunteers. The Bleacher area is heated by "feed the pig" heaters so bring some quarters to stay extra warm. The Rec center also includes a girls only locker room for female players. See the "Game Entry Cost" tab for game entry fees.